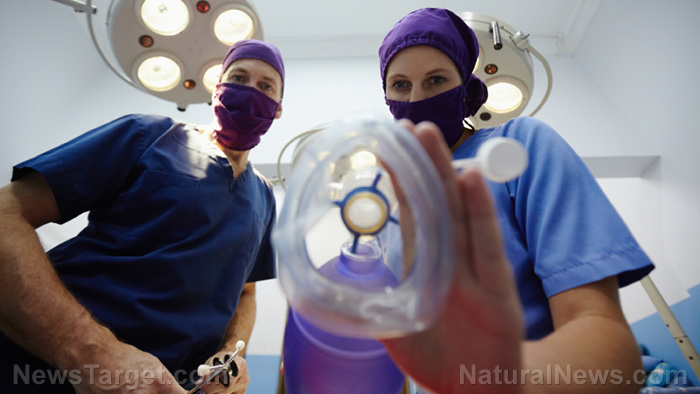 (Natural News) In surgery – as in life – the gap between the haves and the have-nots is real and significant. Unfortunately, this gap impacts people in a manner that can adversely affect a person’s health, according to researchers at the University of Birmingham, University of Edinburgh, and the University of Warwick. The study, published in Lancet Infectious Diseases, mentioned that low-income countries have a greater risk of surgical site infection (SSI) after gastrointestinal surgery. The international, prospective, and multicenter cohort study also pointed out that people who had surgery in these countries have an increased chance of developing an infection linked to drug-resistant bacteria. According to Harrison, a clinical lecturer from the University of Edinburgh, aside from the patient’s health, the type of surgery, and the condition that is being treated, other variables that make the difference could include the facilities available in the area, as well as the length of time needed for a patient to get to a hospital. The study involved 12,539 patients from low-, middle- and high-income countries, according to the U.N.’s Human Development Index (HDI). In total, researchers looked at data from 343 hospitals in 66 countries regarding patients who had undergone a gastrointestinal resection in a two-week timeframe. Aside from the clinical data, variables from the GlobalSurg1 study, as well as those from other studies, were included in the risk adjustment models. Outcomes were defined as by the 30-day SSI incidence, based on the criteria set forth by the U.S. Centers for Disease Control and Prevention, and relationships were evaluated using the Bayesian multilevel logistic regression models. Incidences of SSI varied depending on the HDI classification of the country: high-income countries had a 9.4 percent incidence rate, middle-income countries had 14 percent, and low-income countries had 23.2 percent. After risk factor adjustment, low-income countries were noted to be at most risk of an SSI at a 1.60 ratio. In comparison, middle-income countries only had a 1.12 ratio of getting an SSI. In addition, 21.6 percent of 610 patients with SSI had one that is resistant to prophylactic antibiotics. Those in low-income countries had the largest incidence at 35.9 percent, followed by middle-income countries at 19.8 percent and 16.6 percent of high-income countries. The results scored the need for ” high-quality interventional research, urgent, pragmatic, randomized trials” in low-income countries to develop measures to reduce complications. Researchers are now looking at developing skin-cleaning techniques and antibiotic-impregnated stitches for future tests.